From when my children were babies, we had always just put them to bed when they were tired, no bedtime battles. Seems like the obvious thing to do right? No one wants to be fighting to get a baby to sleep who isn’t tired yet. The older two naturally seemed to go to bed around 8.30pm every night from a young age. Luckily for me they also still had daytime naps for a long time. My eldest didn’t give them up until she was 5 and her sister stopped at the same time. When that happened, they were tired much earlier in the evening and started going to bed at 7pm. Well, my husband and I got quite used to this! We had time in the evening to relax together, eat secret chocolate, and watch whatever we liked on TV. As they got older and more used to not having naps they weren’t as tired at bed time. Still, we weren’t ready to give up our time so easily. We started to become the enforcers of 7pm bed time. This was not a fun role to play. The girls were taking longer and longer to get to sleep and we were resorting to more and more undesirable tactics that weren’t a part of how we wanted to parent. It kind of just crept up on us until one day we realised what we were doing. We questioned why on earth we were enforcing this arbitrary bed time when they weren’t even tired at this time, and faced up to the reality that it was for our own selfish reasons. We looked forward to the peace and quiet at the end of the day. We saw it as our time and didn’t want it interrupted. We wanted them to go to sleep when we wanted them to, not when they were ready. Were these good enough reasons? For us, no. Sure, this time is important to us and we definitely need some chill out time at the end of the day. But, our needs aren’t of greater importance than theirs. We are all equal here. When one person’s needs start infringing on the rights of others, that’s not going to lead to a happy home. And we could definitely see that! We needed to make sure everyone’s needs were being met. So, we decided to ditch ‘bed time’ altogether! We even told the kids this. I explained that we realised it wasn’t very fair to make them go to bed when they weren’t tired, and from now on there would be no more bed time. I told them that they could just tell me when they were tired and then we would read stories and they could hop into bed. We expected at first that they would go a little wild with this new found freedom and stay up as late as they could. But we committed to giving it time and trusted that once they realised this wasn’t a joke and we weren’t going to go back to how things were, they would begin to listen to their bodies and make the right choices for them. And after all, that’s what we want really isn’t it? For them to be able to make these kinds of decisions, to learn to listen to their bodies, trust themselves, and develop healthy sleeping habits. Us trying to tell them when they were tired only interfered with that. Surprisingly the first night they chose to go to bed at 8pm! Not exactly a crazy bed time. And night after night they continued to do the same. I think since we started this (a couple of months ago) there has only been a couple of instances when they have gone to bed after 8.30pm and these have been because something exciting was happening that they wanted to stay up for. Now everyone’s needs are being met. Bed time is much easier and calmer. They feel more in control of their own bodies and lives. And we are still getting our chill out time after they are in bed anyway. 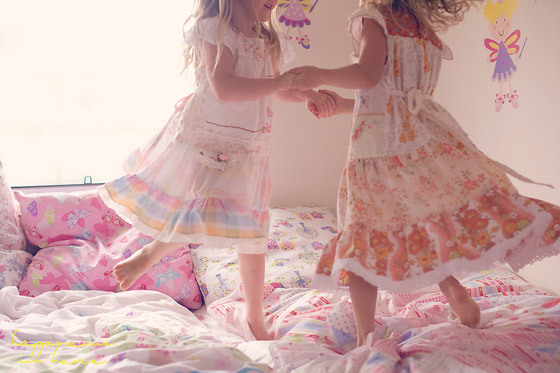 There was nothing to lose and everything to gain by giving up bed time. And if things hadn’t gone so smoothly? What if they had started staying up half the night and it was clearly affecting them the next day? Well I would have talked about it with them. It’s not all or nothing when you choose to give kids more control. We don’t either have a strict bed time or else it’s ‘fend for yourselves kids, I don’t care’! 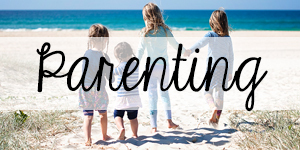 Total lack of parenting is not the only other option to strict rules. Of course you’re there to guide and help them think about the consequences of their actions and choices. Once again we got another lesson in trust. We have had it many times before but I guess we needed it again. Parenting for me has been a gradual letting go of ‘the way it’s always been done’ and questioning why we do the things we do. Why do we need to have a set bed time? We don’t. I don’t get tired at the same time every night, and it is extremely difficult for me to get to sleep before I’m ready. Why on earth would I think it was any different for children? Children CAN be trusted to know their own bodies and make their own decisions, if they are allowed that right. We even homeschool so we have nowhere to be early the next day if they do choose to stay up late. There were no excuses for us. So many people think that without strict control kids will go wild, but mine have never shown this to be the case yet. And so I will give them as much freedom as I can, because after all they are people too, and their needs matter. We don’t have a set bedtime either… But we rarely get good sleep. I have a six year old and 2.5 year old and have hardly slept through the night in six years. Seriously it is starting to take its toll on me. We have a lot of sleep issues at our house, but one major one is my two girls having complete opposite sleeping patterns. One is up at seven no matter what and the other very easily stays up until 11. I want to be zen about it but I hate not having any me time or any time alone with my husband. It is so rough, and it doesn’t always make me the best mama. I also feel like I don’t have any time to prep activities or set things out, because they’re always with me. So then I’ll stay up very very late to get a little alone time and I pay for it in the morning. 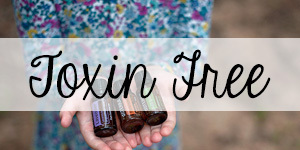 I have no idea what to do about our sleep situation but I feel like I’ve tried everything! I’m just waiting for the 2.5 year old to become a little more rational, so she can understand mama needs rest too… and holding out hope she starts sleeping through the night at three like her sister did. I can not wait to sleep through the night again!! our family is having the same issues! 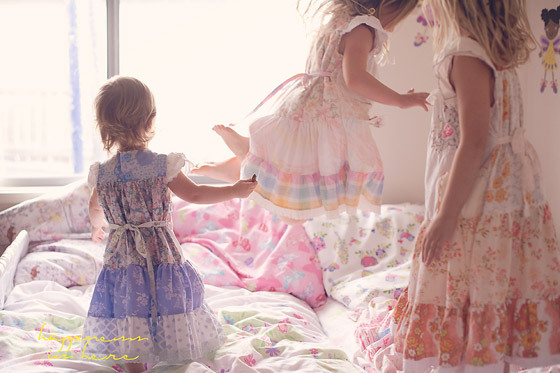 With my twin 5 year old girls, one is a night owl, one is a fairly early riser, my husband gets up at 4am for work, and I am here wondering where my personal and husband time all went! At the moment they have a hard time letting themselves be tired when they are. They’ve had a bed time all their life so they’re not yet used to listening to themselves rather then someone else. I am so glad you shared this. I have been slowly learning to let go and trust in more areas of our lives. We are far less strict with bed times especially since our younger son often just isn’t tired when his brother is. 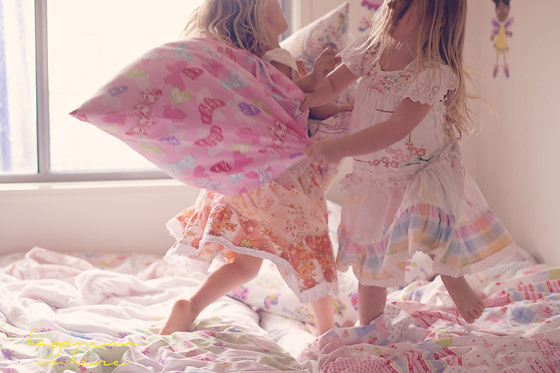 It is less stressful to go with their natural rhythm rather than trying to fight them to sleep. What beautiful pictures Sara! We do have a set bedtime but it’s not that strict, for us having a decent length of story, cuddle and chat time is more important than having the kids in bed by 8pm, and so long as they get that they are usually happy to go to bed and stay there. 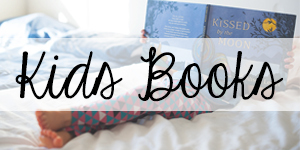 Yes, story time is very important to my kiddos too! We also dropped arbitrary rules from our family life and it is BLISS!! My goodness, thank you for having the courage (sad that I have to phrase it that way, but I am chicken) to speak up in this format about this. I Totally AGREEE! In fact, I have older kids and we have had times with set bedtimes, which meant maybe an hour reading for them before they felt tired, but once we added two more to our family, after the first three, and the age gaps and the sleep disorders… well, bedtime is one of those areas that I don’t fight a whole lot on. 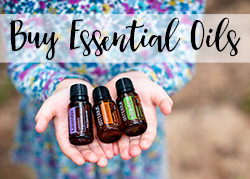 Because they do have sleep issues, I did love to discover a half a melatonin for child 4 helped her fall asleep so we weren’t up until 1 or 2 AM consecutively, which was hellish the year she was in first grade, but that led me to homeschool her, and that was needed, so glad I found that after we made that decision. So if I NEED them to go to sleep closer to 10 PM, then I do give the youngest two a half, sometimes in hot chocolate for the youngest with an iron bladder. But in many ways we have developed a great relationship, because we do some good talking after dark sometimes, the teenagers and sometimes the little ones. They know I am here for them. My husband has to go to bed early because he wakes up really early, but we have some time together with him for scriptures and prayers and visiting, then he goes to bed, and we kind of wind down more naturally. I know it’s not idea in some settings, but I wouldn’t change it. I love my time with my kids. They are pretty much my favorite people. And thank you for saying they are too, because that is something I think about a lot when people compliment me on the relationship I have with my kids. I just (mostly) try and treat them like people and respect feelings and try to understand where they are coming from. I don’t often have to pull the mom card, but there still are times when I have to say “you just have to because you have to and I hope you can understand why later” and they usually do. 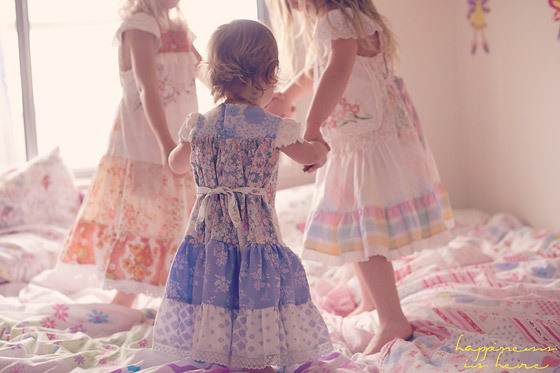 Anyway, I am rambling, but I LOVED this post and LOVED those cute pictures and their dresses! PERFECT! They are 6 and 4 years old at the moment. I really enjoyed reading this. my husband and I have been struggling with getting our twin girls to bed every night. we always put them to bed around 10 p.m. but they always seem to fight it. I think I might give what you have written about a try tonight and see how it goes. Thanks for sharing your story, and I absolutely love all of the beautiful pictures ! I have a 2.5 year old and a 1 month old. I’m up most of the night with the baby but do have an 8 pm bedtime for my 2.5 year old. He does better with routine. Both my husband and I work the day shift, so he has to get up by 6 am to go to daycare. When they are older, we may revisit the bedtime issue but I don’t foresee us letting them stay up too late. It would be harder if getting up early was a necessity. My 4 year old girl is staying wide awake up to 1am sometimes. My husband and I we’ re really struggling for this problem. She also wakes up very late in the morning,about 10am and She does’nt take a nap in the afternoon. One night,she got very tired i guess that she sleep around 7pm.. I thought that it will go so well but to our surprise,she woke up at 1am and find it harder to get her back to sleep. As i am typing this comment,i’m still looking for a strategy to solve my problem.i really dont know what to do with my baby. Oh, that is tough! I haven’t been there and I’m not sure what I’d do. I’m assuming you’ve tried everything that I’m thinking of. Try giving her more calcium. Calcium helps sleep, both getting to and staying asleep. I am trying that, my 12 year old always fights sleep. Maybe in your experience, this works. My children are nothing like yours. My kids, first of all, have never in their lives been to bed at 7. 8 would even be ridiculous. 9 can happen, but I have to work for it. 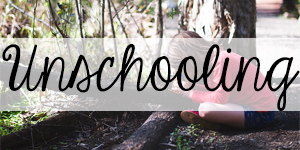 10 is more common (we homeschool/unschool though, and we aren’t early risers. 8-9am on average, sometimes later). And keep in mind, I am including my 1 year old who doesn’t nap. Ever. Also, when my kids get tired, they don’t go and get their pajamas on, brush their teeth, and lie in bed. They get MORE active, but also more accident prone and more emotional. Therefore, if I said “hey kids, just go to bed when you are tired”, they would stay up until 12-1am while screaming and crying and falling over and bumping into things. Believe me, I’ve experienced this many times. I remember giving up on bedtimes when my oldest, now almost 10, was 1. At about 1:30 am, my husband and I sat there trying to stay awake watching tv while she zoomed back and forth through the house. It normally wasn’t until she fell and got hurt that she would nurse and fall asleep. Now, our tactic is this: ditch naps early. Very early. The younger two mostly gave up napping around 1, definitely done by 2. Otherwise, nap time was a struggle AND bedtime was a struggle. Then, we all lie down together at a reasonable hour, generally between 8:30-9:30 on a normal day. I stay there, generally staying occupied on the tablet, until the little ones are asleep. Then I sneak away for a little kid-free time and to get myself ready. They generally don’t complain about bedtime too much since we are all together, though it still can get frustrating when it takes a good hour or so. Sometimes I don’t leave the room until 11-ish, but I’m a night owl and don’t mind staying up another hour or so. Much like C’s comment and experience (above) – this is exactly what happened with my children too. In an ideal world I’d love to ditch bed times, but my kids are wired with energy and have sensory issues which makes trusting them with choosing their own bedtime a nightmare for everyone. They are also not open to reason much of the time – despite constant attempts to connect with them. We have commitments in the morning that we need to get to, so late nights are not an option. Phew, thank goodness it’s not just us. This is so close to our experience of bedtimes, other than we don’t homeschool and my eldest has to get up at 6:40. I have handed over control of bedtime on occasions, cue 1 am bed time at weekends and 11pm in the week, and terrible fits of temper for days . Yep, this is my kids too! Only one of my kids have said they wanted to go to bed on their own, my 6yo and it’s rare and after a very busy and active day and it’s still not till very late or early am. Sigh. My kids, when tired/overtired also get a surge of energy and act hyper and fragile. so much yelling and so many tears while bouncing off the walls. Does anyone with kids like this have good strategies for getting them to sleep at a decent bedtime? Without crazy struggling and preferably before 10:30pm? My husband and I are wiped completely!! I’ve never even considered not setting a bedtime so this was really interesting to read. I think my own children would be quite good with regulating when they go to bed and worth me giving a try. Thanks for the inspiration. Children are so different from each other, I have four grown children. With our first daughter the doctor told me she would sleep 19-22 hours out of 24 hour day. Humph, wrong totally wrong. She slept about 1-3 hours and was up for 2 to four hours at a stretch, night or day from newborn. As she got older I tried to set a bedtime and it didn’t help she got revitalized in the evening and couldn’t sleep. She said she had way too many ideas to sleep, and was up until midnight sometimes. Our second son, cried for hours, nothing I could do seemed to help comfort him except nursing sometimes. He slept short periods of time, I spent hours doing the “Lullaby Rock” holding him and dancing gently to soothe him for hours at night, if I left him to sleep on his own he would cry and not stop. as he got to be around three years old I finally said it is bedtime and he would at least go to bed after bath and pj’s and a story or ten stories. Our second daughter, experienced a difficult birth and slept eight hours straight the first night, She slept most of the time I woke her to eat every four hours after that to feed her. She had sleep apnea and I held her for the most part of the first year so when she paused in breathing I would jiggle her or massage her back to be sure she was breathing normally. I thought this maybe why she was never a good sleeper, she had sleep issues for years, she too had too many ideas to bother sleeping. She still does. I wish I could have stayed home and home schooled my kids but life happened and I wasn’t able to. I had to work and let others teach my children. 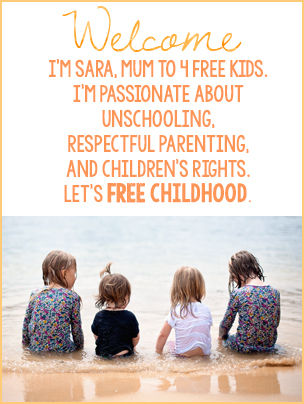 I am happy for you Sara enjoy your kids, children grow up way too fast. All of us are different. Hopefully we all will get the sleep we need somehow. Thanks for sharing this. My kids too have not been “usual” in their sleeping. But I wanted to reply because reading about your first daughter and your first son made me laugh – you could’ve been describing me and my husband!! Our sleep and our sleep needs are polar opposites! It sounds like you worked hard to respect their individual needs. I’m sure it was incredibly difficult! We’ve had a bedtime routine since my oldest, almost 10, was about 18 months old. For awhile we had to tell him he had 5 minutes til bedtime and we set a timer. This helped him to transition. It took a few days but it worked. The kids go up to bed for 7, but they get pj’s on, brush teeth, read etc so it tends to be closer to 7:45/8 before they fall asleep. My oldest has ADHD so there’s no way I could let him choose his own bedtime. Also, if my kids stay up late they don’t sleep in, they tend to get up even earlier than normal. I suppose each kid/family is different so we all have to do what works for us. Just be aware that the body and brain is sensitive to changes in sleeping patterns and less sleep (even as small as fifteen minutes less can be a problem) young children desperately need a certain amount of sleep (depending on the age of course). Sleep is the time when memories during the day get sorted and sent to long term memory (the movie Inside Out has a cute way of showing this), the first part of a night’s sleeping has a few rounds of REM sleep, which is vital in learning – academically and just in understanding the world around, and the sleep towards the morning allows the brain to work through physical learnt actions (ie like a gym routine, or a tricky passage on violin). Sleep is also the time when growth hormones get to work, and the body does a bit of physical repair work on itself. Depending on age, even if a child may not necessarily feel tired, they still really need that sleep… not saying this is wrong, just needs to be taken with a realistic pinch of salt that in the long term, if not done very carefully, this can backfire on the child’s development, achievements at school, and even their growth and mental health. A moment’s piece now and what looks good may backfire in the future.. I never had a set bedtime growing up and as a teen and young adult I suffered through some pretty extreme insomnia, getting 1-4 hours of sleep a night for weeks at a time… with medication. I’ve had to put myself on a sleeping schedule. If I miss my 10:30 bedtime by more than 15mins, I’ll be up half the night (I don’t take any medication anymore, just my schedule). The importance of a regular sleep pattern is incredibly important for me and the rest of my family. That sounds so hard. I agree that a regular sleep pattern is helpful, I just don’t think it has to be forced or adult dictated. Kids can learn to listen to their own bodies. I think this is solid and reasonable and kind parenting. But I also think you should have BEGUN with “We even homeschool so we have nowhere to be early the next day if they do choose to stay up late.” Single parent families or couples who work outside the home simply cannot even “try this out,” without risking a lot of poor performance at work and school. Good sharing… We need to stop judging to our selfs by thinking all the time that if we are following “parenting rules”. 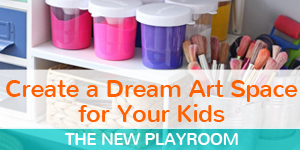 You need to do what it works for your family routines… And if it works for you now, great! Enjoy family… That’s all!! I can’t believe the number of parents permitting their kids to stay up well past 11pm! I am shocked. Children require a range between 8.5-13 hours of sleep a night. Each child is different but once you figure out how much sleep your children require naturally wouldn’t it be easier to get everyone on the same page? Why would you let one sleep in till 10 am when the rest of the family is up at 7? Wake the child up! She will then naturally gravitate to an earlier bed time! And then you won’t complain about not having alone time etc….. It’s just a simple math equation. I have two kids one needs 12 hours and the other around 10 to function well. I put one to bed earlier , it’s not rocket science. It can be very easy and it can be harder than rocket science in our experience, depending on the child. We can go up at 8pm and my 12 year old is still sometimes awake in bed at 11:30pm. Life can become difficult with a tired cross child around and sometimes the temptation to let them lie in when you have something planned that day where you need good behaviour is very strong. Good advice. And i loveeeee ur photography style! Thanks, Sara! I imagine it takes a lot of courage to write something that goes so against the mainstream of parenting. I am wondering what you do about naps for your still-napping ones. Do you do the same kind of thing as at bedtime? Pretty much! My toddler tells me when she’s tired. With the baby I usually put her in the carrier when I see her getting sleepy and then she’ll nod off. Is this still working for the family? Do the toddlers do well at choosing their bedtime? 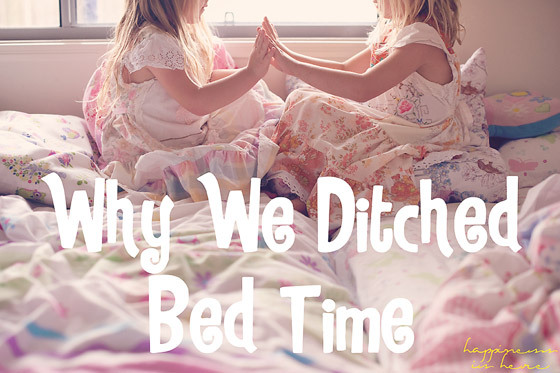 I’d love to hear how your younger kids transitioned to a no bed time rule. Hi! Love your blog! Question on this post- we have two gifted high energy boys- 2.5 and 4.5- bedtime has always been a struggle- we’ve tried the “you can go to bed when you’re tired” bit but it was a huge fail for us- staying up past 11pm- then fighting us because they “still weren’t tired” when clearly they were overtired at that point. (For a month!) We’ve tried pushing back bedtime to around 9-10 (with a late nap during the day) and my oldest seems like he’s forcing himself to stay awake because he HATES to sleep. We’ve had issues since they were infants.This means most days we end on a bad note out of clear frustration from both kids creeping out multiple times with crazy demands well past 10-11pm- I work from home so often times I’m just clocking in at 9pm- trying to get work done AND get in bed at a decent time but it seems impossible. Any ideas?